Much criticism of "Nausea" describes it as a novel of ideas, as if this is necessarily a pejorative term. To me, the term (as used in this negative context) implies that the characters are a mere mouthpiece for ideas or ideologies, and that they simply argue with each other until a resolution is reached (or not). I question whether this characterisation applies to "Nausea", and would like to make a case for an alternative perspective on the novel in this review. Ironically, to argue my case, I have to delve into the metaphysical concerns of the novel. I'll concentrate on Sartre's text and keep my comments to a minimum, so that you can get an impression of the tone of the novel. It was a lot more amusing than I had expected. * the development of Sartre's own philosophy in a number of books up to and including "Being and Nothingness" (published in 1943). It's been suggested that the novel reflects the intuitive investigation of various ideas that Sartre would later document more analytically in "Being and Nothingness". Iris Murdoch called it "the instructive overture to Sartre's work." If this is correct, then it means that he continued to dwell on these ideas for at least five years before publishing the book that still best defines his existentialist philosophy. While reading the novel, I wondered whether it explored concepts defined by Heidegger in "Being and Time". 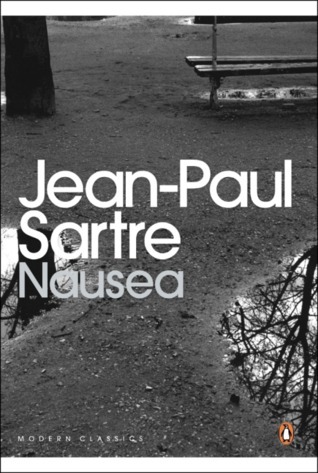 However, it's known that Sartre hadn't read "Being and Time" by the time he finished "Nausea". It's more likely that the ultimate source of some of these ideas was Husserl, rather than Heidegger. I mention Heidegger and Husserl, because the novel purports to be about "the Idea" (singular) rather than being a novel of ideas (plural). If I've understood it correctly, the Idea is akin to Heidegger's concepts of Being, Dasein and Existence, precursors of which can be found in Husserl. For the protagonist, Antoine Roquentin, the Idea is like a Thing or, more philosophically, it's like "Thingness" or "Thinginess". This Thing almost takes on a character of its own and, in doing so, takes on the character of Roquentin in an adversary sense (or so he thinks). "Something has happened to me: I can't doubt that any more. It came as an illness does, not like an ordinary certainty, not like anything obvious. It installed itself cunningly, little by little; I felt a little strange, a little awkward, and that was all...and now it has started blossoming." "I should like to understand myself properly before it is too late." Roquentin records his self-analysis in a journal that takes the shape of an intellectual autobiography. This allows Sartre to read Roquentin's mind. Apart from some dynamic set pieces, in which Roquentin reacts to other people and the environment, the novel focuses on Roquentin's internal struggle. It is particularly impressive, if you have a metaphysical bent and are prepared to suspend disbelief. "Things are bad! Things are very bad: I've got it, that filthy thing, the Nausea. And this time it's new: it caught me in a cafe...then the Nausea seized me, I dropped on to the bench, I no longer even knew where I was; I saw the colours slowly spinning around me, I wanted to vomit. And there it is: since then, the Nausea hasn't left me, it holds me in its grip." "And the IDEA is there, that big white mass which so disgusted me then." "Now I am alone. Not quite alone. There is still that idea, waiting in front of me. It has rolled itself into a ball, it remains there like a big cat; it explains nothing, it doesn't move, it simply says no. No, I haven't had any adventures." "My existence was beginning to cause me serious concern. Was I a mere figment of the imagination?" "The true nature of the present revealed itself: it was that which exists, and all that was not present did not exist. The past did not exist. Not at all." "The thing which was waiting has sounded the alarm, it has pounced upon me, it is slipping into me, I am full of it. - It's nothing: I am the Thing. Existence, liberated, released, surges over me. I exist." "My thought is me: that is why I can't stop. I exist by what I think...and I can't prevent myself from thinking. At this very moment - this is terrible - if I exist, it is because I hate existing. It is I, it is I who pull myself from the nothingness to which I aspire: hatred and disgust for existence are just so many ways of making me exist, of thrusting me into existence. Thoughts are born behind me with a feeling of giddiness, I can feel them being born behind my head...If I give way, they'll come here in front, between my eyes - and I go on giving way, the thought grows and grows and here it is, huge, filling me completely and renewing my existence." "I am, I exist, I think therefore I am; I am because I think that I don't want to be...I exist because that is my right. I have the right to exist, therefore I have the right not to think..."
Roquentin's consciousness has stumbled into some form of nihilism or absurdity, while trying to reconcile with the Thing and Nausea. "I was just thinking that here we are, all of us, eating and drinking to preserve our precious existence, and that there's nothing, nothing, absolutely no reason for existing." "Objects are not made to be touched. It is much better to slip between them, avoiding them as much as possible. Sometimes you take one of them in your hand and you are obliged to drop it as quickly as possible...so this is Nausea...Now I know: I exist - the world exists - and I know that the world exists. That's all. But I don't care. It's strange that I should care so little about everything: it frightens me. It's since that day when I wanted to play ducks and drakes. I was going to throw that pebble, I looked at it and that was when it all began: I felt that it existed." "I am in the midst of Things, which cannot be given names. Alone, wordless, defenceless, they surround me, under me, behind me, above me. They demand nothing, they don't impose themselves, they are there...I push open a gate, I go through, airy existences leap about and perch on the treetops...I should so like to let myself go, to forget, to sleep. But I can't, I'm suffocating: existence is penetrating me all over, through the eyes, through the nose, through the mouth...And suddenly, all at once, the veil is torn away, I have understood, I have seen." "The Nausea hasn't left me and I don't believe it will leave me for quite a while; but I am no longer putting up with it, it is no longer an illness or a passing fit: it is me." The Thing has won, it has conquered Roquentin, as it has all other existents. Dare I say, it becomes him. "If anybody had asked me what existence was, I should have replied in good faith that it was nothing, just an empty form which added itself to external things, without changing anything in their nature. And then, all of a sudden, there it was, as clear as day: existence had suddenly unveiled itself. It had lost its harmless appearance as an abstract category: it was the very stuff of things, that root was steeped in existence. Or rather the root, the park gates, the bench, the sparse grass on the lawn, all that had vanished; the diversity of things, their individuality, was only an appearance, a veneer. This veneer had melted, leaving soft, monstrous masses, in disorder - naked, with a frightening, obscene nakedness." "He is a fellow without any collective significance, barely an individual." This might well describe the nihilist Roquentin. He was neither complete as an individual, nor did he form part of his community. "We were a heap of existents inconvenienced, embarrassed by ourselves, we hadn't the slightest reason for being there, any of us, each existent, embarrassed, vaguely ill at ease, felt superfluous in relation to the others. Superfluous: was that the only connexion I could establish between those trees, those gates, those pebbles?...Each of them escaped from the relationship in which I tried to enclose it, isolated itself, overflowed. I was aware of the arbitrary nature of these relationships, which I insisted on maintaining in order to delay the collapse of the human world of measures, of quantities, of bearings; they no longer had any grip on things. Superfluous...And I - weak, languid, obscene, digesting, tossing about dismal thoughts - I too was superfluous...I was superfluous for all time...The word Absurdity is now born beneath my pen; a little while ago, in the park, I didn't find it, but then I wasn't looking for it either, I didn't need it; I was thinking without words, about things, with things...Without formulating anything clearly, I understood that I had found the key to Existence, the key to my Nausea, to my own life. In fact, all that I was able to grasp afterwards comes down to this fundamental absurdity...But I should like to establish the absolute character of this absurdity...I, a little while ago, experienced the absolute: the absolute or the absurd." What differs between people is the level of recognition of the absurd. Nausea is the recognition that humanity, the world and life are merely contingent, that they are superfluous, that they are not meant to exist, that there is no reason for them to exist. "The essential thing is contingency. I mean that, by definition, existence is not necessity. 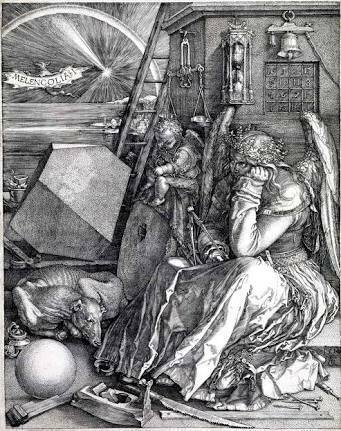 To exist is simply to be there; what exists appears, lets itself be encountered, but you can never deduce it...contingency is not an illusion, an appearance which can be dissipated; it is absolute, and consequently perfect gratuitousness. Everything is gratuitous, that park, this town, and myself. When you realise that, it turns your stomach over and everything starts floating about...; that is the Nausea." "I was all consciousness of its existence. Still detached from it - since I was conscious of it - and yet lost in it, nothing but it...Existence is not something which allows itself to be thought of from a distance; it has to invade you suddenly, pounce upon you, weigh heavily on your heart like a huge motionless animal - or else there is nothing left at all." "Existence everywhere, to infinity, superfluous, always and everywhere; existence - which is never limited by anything but existence...existence is a repletion which man can never abandon." "I was not surprised, I knew perfectly well that it was the World, the World in all its nakedness which was suddenly revealing itself, and I choked with fury at that huge absurd being. You couldn't even wonder where it all came from, or how it was that a world should exist rather than nothing. It didn't make sense, the world was present everywhere, in front, behind. There had been nothing before it. Nothing. There had been no moment at which it might not have existed. It was that which irritated me; naturally there was no reason for it to exist...But it was not possible for it not to exist. That was unthinkable: in order to imagine nothingness, you had to be there already, right in the world, with your eyes wide open and alive; nothingness was just an idea in my head, an existing idea floating in that immensity; this nothingness hadn't come before existence, it was an existence like any other and one which had appeared after a great many others." "Antoine Roquentin exists for Nobody. That amuses me. And exactly what is Antoine Roquentin? An abstraction. A pale little memory of myself wavers in my consciousness. Antoine Roquentin...And suddenly the I pales, pales and finally goes out...Lucid, motionless, empty, the consciousness is situated between the walls; it perpetuates itself. Nobody inhabits it any more. A little while ago somebody still said me, said my consciousness. Who?...The consciousness exists like a tree, like a blade of grass. It dozes, it feels bored. Little ephemeral existences populate it like birds in branches. Populate it and disappear. Forgotten consciousness, forsaken between these walls, under the grey sky... And this is the meaning of its existence: it is that it is a consciousness of being superfluous. It dilutes itself, it scatters itself, it tries to lose itself on the brown wall, up the lamp-post, or over there in the evening mist. But it never forgets itself; it is a consciousness of being a consciousness which forgets itself. That is its lot." Perhaps a character in a novel exists only temporarily and contingently in the mind of a reader. We readers mess with the minds of literary characters. We are the characters' Thing. If you want to read the definitive novel about the Thing, make sure it's this one! It's a comic stripped bare by existentialists. Marvel-lous! Ethel Waters - "Some of These Days"
"...our favourite American group, Sophie Tucker"
The Smithereens - "Till There Was You"
Sign into Goodreads to see if any of your friends have read Nausea. Ian, it seems we were reading this at the same time. Your review is wonderfully comprehensive as always, and you provide some interesting philosophical context, of which I was largely ignorant. This is an intriguing novel to try to pull apart. Although I don't find some of the existentialist ideas all that compelling in a practical sense, the novel itself was a thoroughly interesting and enjoyable read. goodness, existentialists need to rename their school unable-to-get-over-myselfism. Edward wrote: "Ian, it seems we were reading this at the same time. Your review is wonderfully comprehensive as always, and you provide some interesting philosophical context, of which I was largely ignorant. Thi..."
Thanks, Edward. I'm dealing with a broken arm at the moment, and didn't have the time or inspiration to make this review shorter. I had also wanted to discuss Roquentin's "adventures", but thought I should quit while I was ahead. There are a lot of people who would question just how practical or persuasive the concept of Being is. Still, it plays a large part in the philosophy of both Heidegger and Sartre. sologdin wrote: "goodness, existentialists need to rename their school unable-to-get-over-myselfism." Actually, I thought this novel was more pessimistic than "Being and Nothingness", which I thought was quite liberating. Serena wrote: "Ian said; "Much criticism of "Nausea" describes it as a novel of ideas, as if that is necessarily a pejorative term." Yes, sir. Hammer head on the nail. Others might consider the opposite. If ther..."
I'd be lost without an idea! I think Sartre might have been satirising this bourgeois fear of ideas and intellect, by personifying Being as the Thing. A Marvel-lous idea! Cindy wrote: "I love the soundtrack!" Thanks, Cindy. The novel mentions "Some of These Days" several times. The song is associated with Sophie Tucker (who is mentioned at the beginning of the live Beatles performance), but Roquentin refers to a Negress singing it, which probably means it is Ethel Waters or Bessie Brown. Sartre did confuse some of the characteristics of the songwriter and the singer, however. A very thorough review, almost a thesis! This could be good or bad. On the good side, I found it very accurate and clear: it´s not "just" a novel of ideas; it´s Roquetin´s (or Sartre's) strouggle through a painfull experience. On the other hand, I think the review goes into a bit to much phylosofical theory, which I myself find enlightening, but that would probably scare a lot of potential readers. I think books like Nausea just should be read, without much background; then will come the time when the ideas (o moresome, the feelings) will melt into you (just like it happens to Roquetin), and you would want to read it again and search for some background. But that´s just my way of reading. I'll follow your future reviews. By the way: I loved the choice of Akhenaton as your image. Exceptional guy. Great review Ian...I once talked to a friend who was in Vietnam; he told me that the first time he witnessed the aftermath of a village being destroyed he had "a feeling of sickness that would never go away." Pedro wrote: "A very thorough review, almost a thesis! This could be good or bad. On the good side, I found it very accurate and clear: it´s not "just" a novel of ideas; it´s Roquetin´s (or Sartre's) strouggle t..."
Thanks, Pedro. I write my reviews mainly for my benefit, to document my reaction to the book. If a reader doesn't like philosophy, then I doubt whether they would appreciate my review or the book. You could read this book as a non-philosophical work, but I'm not sure what the point of that would be. It would be like boxing with one hand tied behind your back. Jon(athan) wrote: "Great review Ian...I once talked to a friend who was in Vietnam; he told me that the first time he witnessed the aftermath of a village being destroyed he had "a feeling of sickness that would neve..."
Thanks, Jon. I guess there's a sense in which what we are and what we do and what we're capable of could make us sick. I simply loved your review. This book has been in my wish list for years and after reading your review I really feel like finally reading this book soon. Ilaria wrote: "I simply loved your review. This book has been in my wish list for years and after reading your review I really feel like finally reading this book soon." Thanks so much, Ilaria. Too many readers have been unfairly warned off reading both Sartre and de Beauvoir. I'm hoping to read more this year.